Property Whispers, the home of off-market properties, has today announced that over 1,000 buyers have registered and over 200 matches have occurred since launching two months ago. This unique property match-making service provides agents with a new and cost effective method of sale for their vendors. Every property can start their ‘sales life’ on Property Whispers. Being the only portal exclusively dedicated to promoting off-market properties, Property Whispers is a unique listing tool for agents to use in discussion with potential vendors. The platform enables agents to reach beyond their existing databases, providing instant hot leads, simply by uploading their off-market listings. Liane Fletcher, Co-Founder of Property Whispers and former Real Estate Agents says, “In a changing marketplace where prices have reached their peak, auction clearance rates are cooling and vendors don’t want to spend on expensive advertising, off-market is the new “on” market,” said Liane. The Property Whispers platform offers agents a new and innovative way to list properties and save vendors expensive advertising costs. Agents and buyers are notified when a match is made, this reduces time and effort spent cold calling or emailing their databases and can potentially contribute to a quicker transaction. New and innovative way to list properties and save vendors money. New promotional platform for every listing to start their ‘sales life’. Reach beyond their own databases, Property Whispers has new buyers registering daily. If the property doesn’t sell off-market, the agent now has the listing and can have discussions with the vendor about alternative methods of sale. Brand building – promotional opportunity for agents. A three month obligation-free trial period is available for a limited time for all real estate agents who register online; those who choose to continue using the website thereafter pay an annual subscription fee. 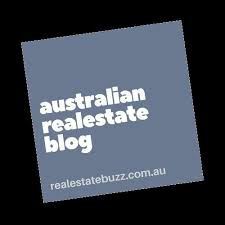 About Property Whispers: Property Whispers is Australia’s first off-market property website, matching buyers and their property requirements with suitable off-market properties in their chosen area, as listed by local real estate agents. Following the launch in late May 2017, the service is now available nationally.